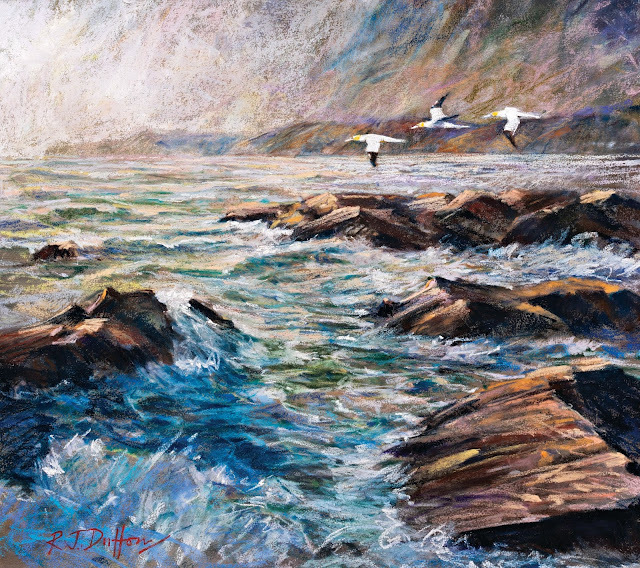 Robert Dutton Artist: June seascape weekend workshops on the Wirral! 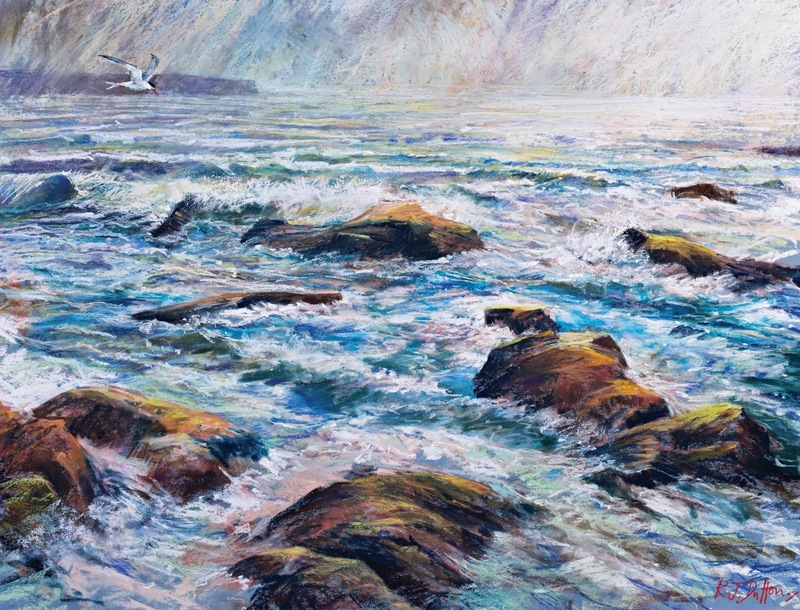 The well known and respected 'Sandpiper Studio' run by artist and director Julie Mclean at Ledsham, South Wirral have invited me recently to do a wonderful weekend workshop with the theme of 'Expressive seascapes' - quite fitting really since this lovely studio is situated close to wildlife reserves on the Wirral Peninsula in spectacular scenery. 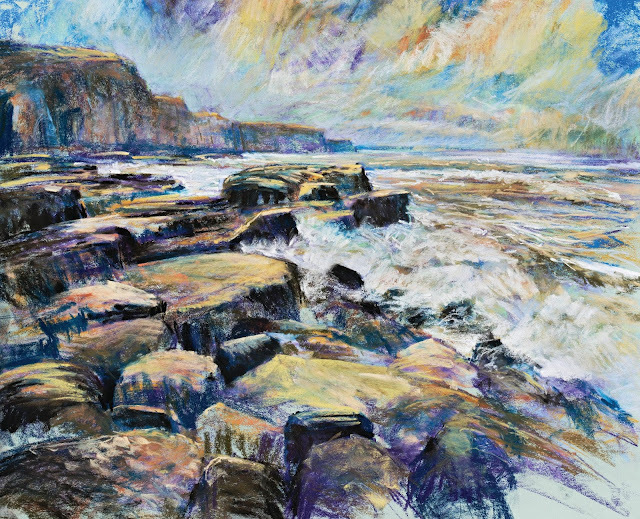 The emphasis on this workshop is crashing waves, dramatic cliffs and large dramatic rock formations to create a dramatic seascape painting full of energy and vigour with a bold approach to your subject. The focus on this workshop will be textures, reflections, colour and atmospheric light full of expression and life on a different textured paper to day one so you see a dramatic contrast to your seascape themed subject. 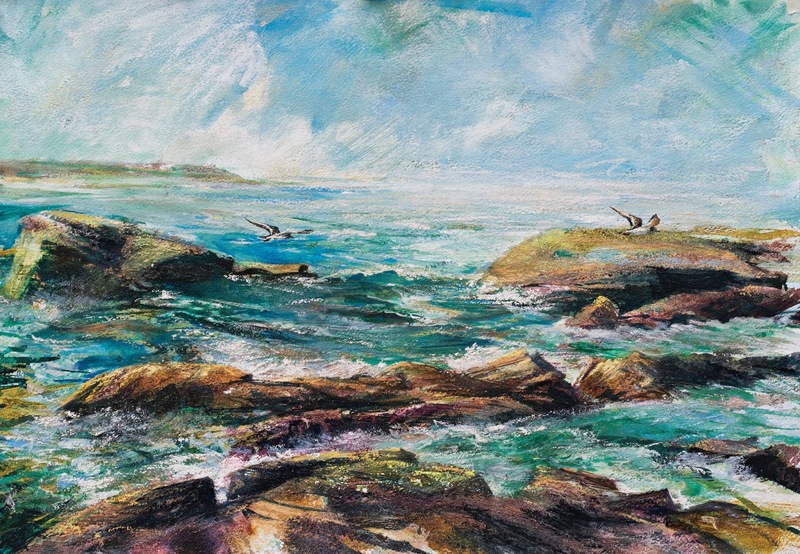 Each workshop over the exciting painting weekend provide you with a great and unique opportunity to learn how to combine water media with soft pastel to create rich, ‘free flowing’ and impressionistic paintings full of colour, atmosphere and light by both drawing and painting at the same time! 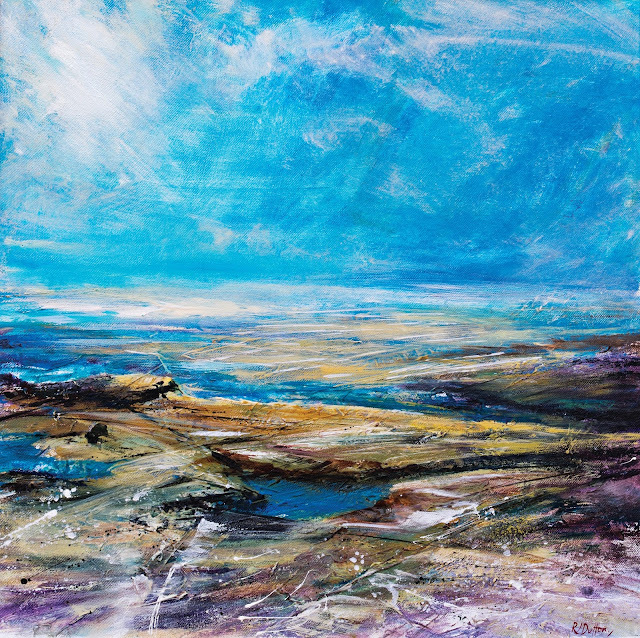 Using big brush techniques and a bold approach, this exciting workshop will teach you how to control large washes of colour in multiple layers of sumptuous colour whilst at the same time enjoying creative freedom with all the marks you create. Each workshop is £75 inclusive of lunch. You may book them both together or as separate days. Point to note: there are only 5 places remaining for Friday and only 3 for the Saturday workshop (as of 29 February 2016) and with enquiries coming in regularly it is strongly advised you book quickly to secure your place!